Eleven players. Ten wearing black and white stripes, one in green. 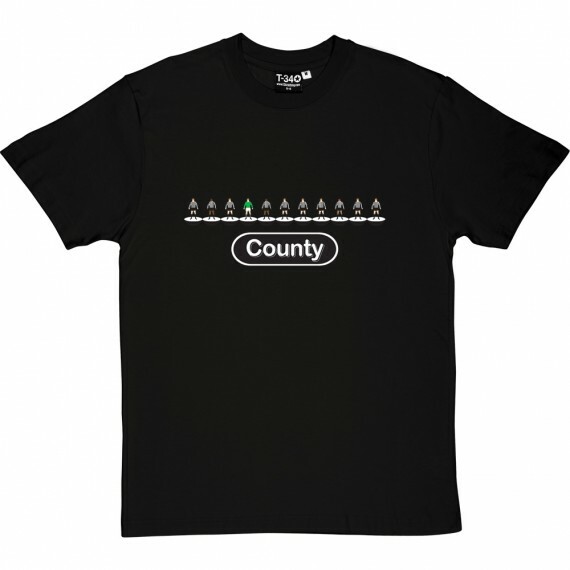 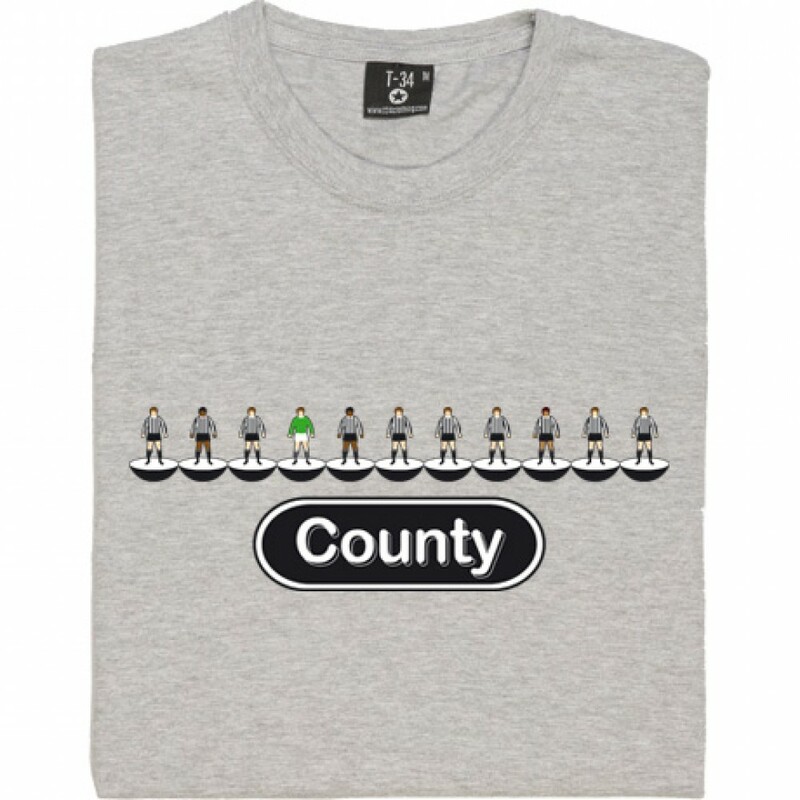 Simply County.